Support the no. 2 Suspension arm lh. Remove the bolt and 2 nuts from the suspension member and axle carrier. 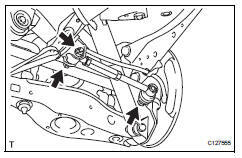 While fixing the nut in place, loosen and remove the bolt from the suspension member side. 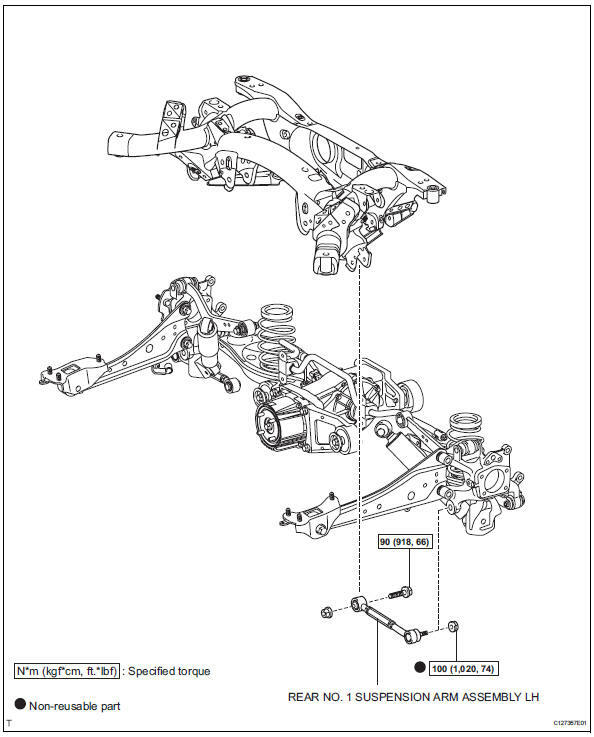 Using sst, disconnect the suspension arm from the axle carrier. Do not damage the dust cover. 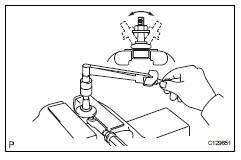 Using a torque wrench, turn the nut continuously at a rate of 2 to 4 seconds per turn and take the torque reading on the fifth turn. Temporarily install the suspension arm with the bolt and 2 nuts to the suspension member and axle carrier. Install the nut and 2 bolts. 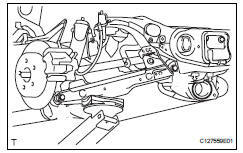 For the nut on the rear suspension member side, do not tighten the nut.